It’s 200 years since the Scotsman began as a weekly newssheet promoting the country’s liberal institutions with a circulation of a few hundred copies. Today the Edinburgh-based title has an average daily print circulation of 21,214 (up 4.5 per cent year on year), which puts it in the top 20 regional publications across the UK. The website Scotsman.com reaches a further 123,000 “unique browsers” per day. 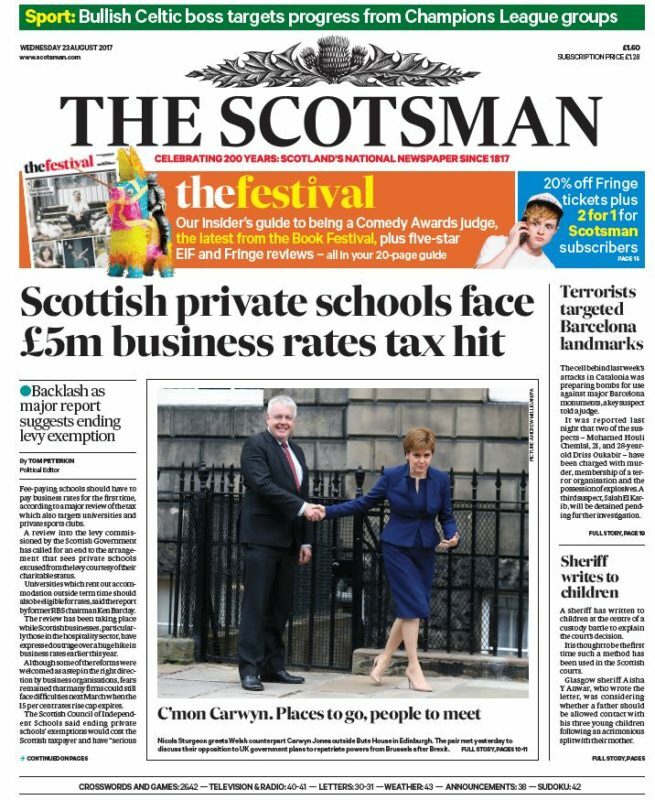 When bulks are taken out of the equation, paid-for sales of The Scotsman fell 5 per cent year on year – but it is still a record which makes it one of the best performing daily print titles. 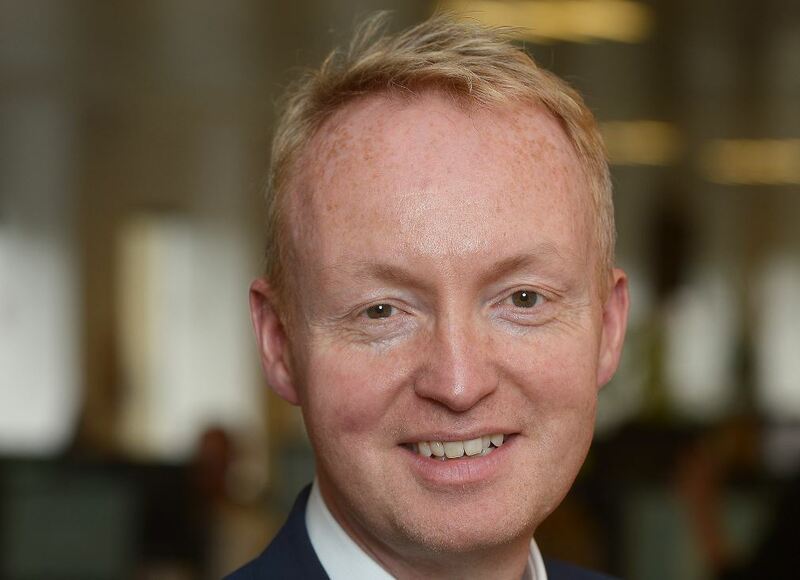 Across The Scotsman, Scotland on Sunday and the Edinburgh Evening News there are 90 journalists and leading them is Frank O’Donnell who became editor of all three titles in April. The former Edinburgh Evening News editor and Johnston Press director of digital content spoke to Press Gazette as he marked 200 days in the job. He is keen to stake The Scotsman’s claim as being the national newspaper for Scotland and a title which is still at the heart of national life as it moves into its third century. Like nearly all daily newspapers in the western world, The Scotsman has seen a sharp decline in fortunes over the last decade or so. At around the turn of the millennium circulation hit the high-water mark of over 100,000 per day (albeit with a discounted cover price of 20p). 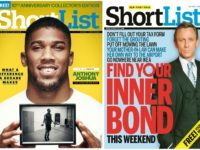 When Johnston Press bought Scotsman Publications from the Barclay brothers for £160m in 2006 the three titles employed some 280 editorial staff. Since then there have been successive waves of cost-cutting, not least because Johnston has sought to recoup that massive outlay. But the bicentenary year has seen an investment in new staff for editorial projects like 200 voices – which profiles key figures from Scotland’s past and present – and an increase in print pagination. 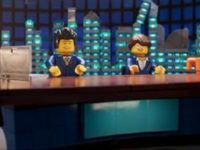 O’Donnell says he still has enough firepower to let him compete in Scotland’s crowded newspaper market: up against the likes of the Glasgow-based Herald, Aberdeen’s Press and Journal, The Courier in Dundee and tartanised editions of The Times, Telegraph, Mail and Guardian. Scotland’s biggest selling newspaper titles are The Scottish Sun and Daily Record. He says of his editorial team: “It’s down on what it has been in the past but it’s still a substantial number. There’s still a lot of people and there’s still an awful lot we can do. “In the past The Scotsman was competing with the Edinburgh Evening News – now we are cooperating, we share content. The Scotsman also shares content from some 25 weekly titles published by Johnston Press across Scotland. And he says there has never been a more interesting story to tell, with Brexit and the debate over a second independence referendum leading the news agenda. Former Scotsman reporter Andrew Marr recalled drinking five or six pints, plus wine and possibly tequila most lunchtimes in his early days at the paper during a rather more louche era. He presented The Paper Thistle, an hour-long BBC documentary on the paper’s history which was broadcast earlier this year. 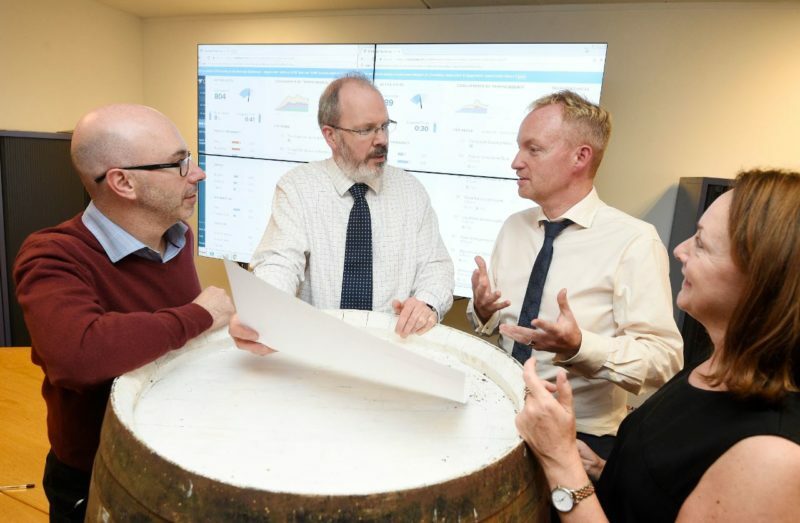 Today the only connection to alcohol you will see on the Scotsman editorial floor is the huge whiskey barrel around which senior staff hold their daily conference. It is one of O’Donnell’s innovations. Standing means the meeting is likely to be quicker, anyone can attend and holding it on in the open – in front of the video display showing how online content is performing – makes it more transparent and democratic, he says. The Scotsman backed a “no” vote in the the 2014 Scottish independence referendum. But under O’Donnell it has adopted a neutral stance – both on independence and party politics. “All the research we’ve done shows that our readership doesn’t want to be told what to think. We are not going to support any particular political party in any referendum or election. I think a quality readership wants to read a variety of views. The Scotsman has a separate digital editorial team, working alongside the print journalists. Breaking news stories go online first and all the print content is loaded up to the website. O’Donnell said that the Scotsman may, like other Johnston Press titles, experiment with a “data wall” in future – requiring readers to register and share some personal information in order to continue reading the title for free. He says merging the print and digital teams is also up for debate. But the cover price (of £1.60 per day) is such an important revenue stream that scrapping print is not on the agenda. Serving the contrasting needs of the print and digital audiences is, O’Donnell says, a challenge. He says The Scotsman needs to be “positive and constructive” in its outlook as well as “campaigning on issues, challenging views and being independent politically”. The whiskey barrel on the editorial floor also serves as a reminder that Scotland’s food and drink industry is worth £5.5bn a year in exports to the country’s economy. And O’Donnell says there is not question that he is more involved in the commercial side of the business than past Scotsman editors. He says: “We still need to know where the lines are but its important to understand what our commercial partners want. Over the last decade Scotsman Conference has become an important part of the business, running events on everything from financial technology to life sciences. To be fair to Frank, they’ve got more boots on the ground than they have actual readers these days.